Conversations of the Crane reviews what we gather from our own personal myths, stories and dreams, making space for new beginnings with them. The myth and dream workshops recently held with Dr. Stanley Krippner have nurtured intuitive insights and intentional decisions to change personal stories. 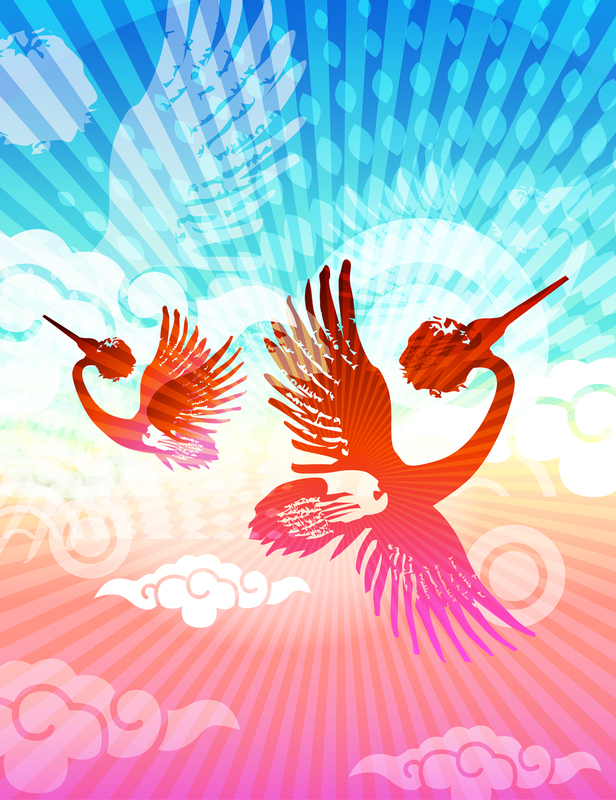 The crane is a great metaphorical symbol for new beginnings with personal myths. Like the crane, alighting and taking flight between the storms based on a deep sensing with the earth, we work with the subtle shifts of meaning making in our own transformation stories, moved by energies of shifting thoughts and actions, the changing ground we stand on, landing and taking off relatively as we sense into transition informed by the changing weather patterns. This community meeting is to explore how we continue to unfold and work with our personal myths and support each other. How can we can we work with our unconscious stories and dreams? What are those new decisions? What are the changes they are bringing and how are we applying them? What insights continue to unfold and how do we work with them? We will work with our unconscious stories for transformation. This first meeting will take place at Seattle Healing Arts on February 6, 2010, in the Forum (3rd Floor), 10 AM-Noon and another meeting will be set for March. You do not have to have taken the recent Personal Mythology or Dream workshops with Dr. Krippner, though it is helpful if you did. The pre-requisite for this group is your interest in deeper, transpersonal conversations. Susan Burns MA LMHC has been a community catalyst for 15 years and is a psychotherapist in private practice for 20 years. She studied Personal Mythology (Dr. Stanley Krippner and Dr. David Feinstein) in her graduate studies. in this past year she has hosted 4 retreats on Personal Mythology and Dreamwork with Dr. Stanley Krippner.